Originating in Asia long before bird flu, the Plague, or Black Death, killed one-third of Europe’s population between 1347 and 1350. In the squalid cities of medieval Europe, victims typically lived only a few days after the symptoms - vomiting, diarrhea, and black boils on the skin - first appeared. The song ‘Ring Around the Rosie’ refers to the plague with the Rosie being a victim. In many cities the Black Death not only killed huge numbers but totally destroyed law and order, pushing an entire civilization to the brink of collapse. The consequences of the plague in European society were profound. Enraged Christians blamed Jews for the disease and the pogroms that followed the Black Death were among the worst anti-Semitic purges in history. The plague cause many European Christians to question the Catholic Church and the existing political order. How could God permit such a cruel disease? Some disillusioned Europeans turned to fringe sects like the flagellants, named for the practice of whipping themselves. Respect for church authority declined and according to historians, the plague destroyed the feudal order of the Middle Ages and cleared the way for the Renaissance. 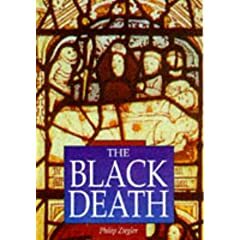 Scientists continue to debate the cause of the Black Death. The leading candidate, the bubonic plague, still exists but can be treated easily with antibiotics. Although almost everyone who was exposed to the plague in the Middle Ages died, about 5 percent of the victims survived and some avoided contracting it entirely. Modern scientists believe the were protected by a rare genetic combination that gave them greater resistance to the germ. After the Black Death, it took 4 centuries for Europe’s population to rebound to its pre-1347 levels. Newer PostWhy do we have baby teeth?